Showing results by author "Elisabeth Smith"
Specially written to be used on the move and to be stopped and started with ease, this series is ideal for use on the train, in the car, or around the house - in fact anywhere, any time. By the end of this 4-hour, all audio course, the student will have a working vocabulary of some 400 essential words and phrases and will feel confident about speaking (and understanding!) German. Specially written to be used on the move and to be stopped and started with ease, this series is ideal for use on the train, in the car, or around the house - in fact anywhere, any time. By the end of this 4-hour, all audio course, the student will have a working vocabulary of some 400 essential words and phrases and will feel confident about speaking (and understanding!) French. Specially written to be used on the move and to be stopped and started with ease, this series is ideal for use on the train, in the car, or around the house - in fact anywhere, any time. By the end of this 4-hour, all audio course, the student will have a working vocabulary of some 400 essential words and phrases and will feel confident about speaking (and understanding!) Italian. Specially written to be used on the move and to be stopped and started with ease, this series is ideal for use on the train, in the car, or around the house - in fact anywhere, any time. By the end of this 4-hour, all audio course, the student will have a working vocabulary of some 400 essential words and phrases and will feel confident about speaking (and understanding!) Spanish. Heading off on holiday or a business trip? Looking for a language safety net to get yourself out of sticky situations? Fed up not knowing how to order a drink or a meal? 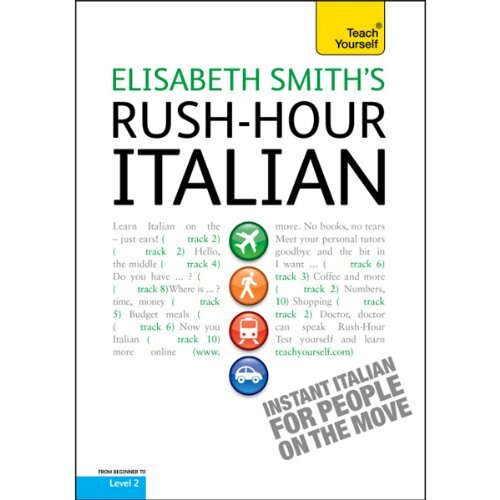 Join Elisabeth Smith and her student Andy for an in-flight Italian lesson as they head off abroad. This course is fast, fun and easy. There’s no grammar or writing practice. 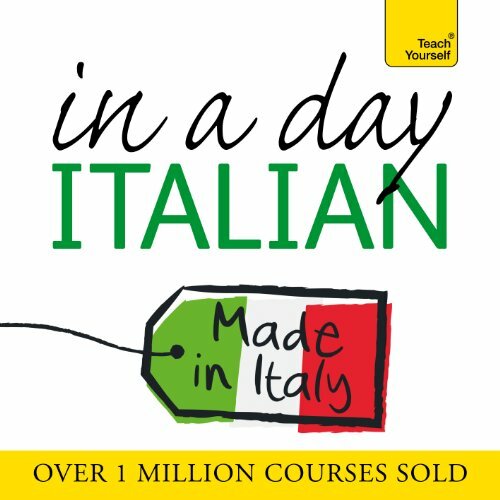 Instead it focuses on practical spoken Italian so you can communicate with ease. Learn the 50 most essential words and phrases - just what you need to be understood and enjoy your trip. Heading off on holiday or a business trip? Looking for a language safety net to get yourself out of sticky situations? Fed up not knowing how to order a drink or a meal? 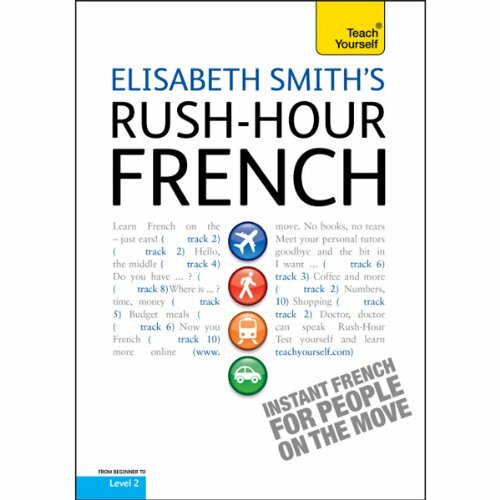 Join Elisabeth Smith and her student Andy for an in-flight French lesson as they head off abroad. This course is fast, fun and easy. There's no grammar or writing practice. 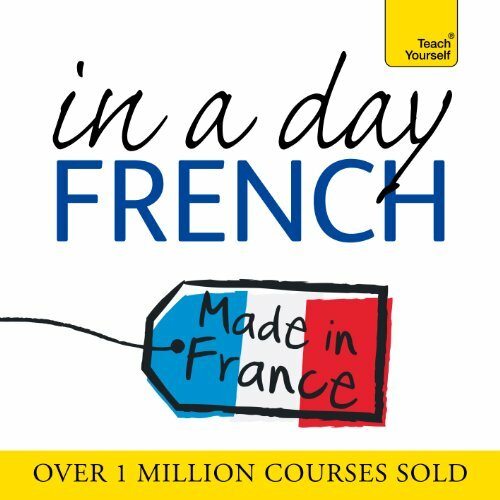 Instead it focuses on practical spoken French so you can communicate with ease. Learn the 50 most essential words and phrases; just what you need to be understood and enjoy your trip. Heading off on holiday or a business trip? Looking for a language safety net to get yourself out of sticky situations? Fed up not knowing how to order a drink or a meal? 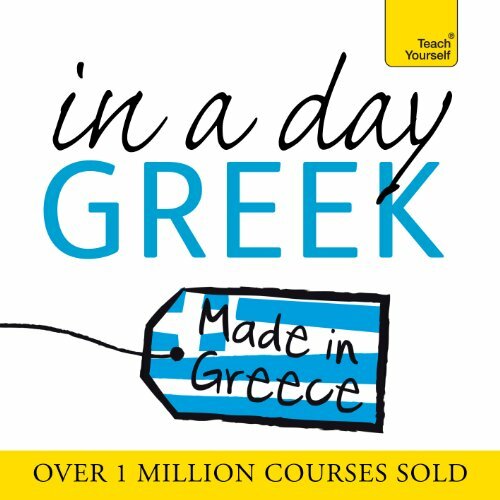 Join Elisabeth Smith and her student Andy for an in-flight Greek lesson as they head off abroad. This course is fast, fun and easy. There’s no grammar or writing practice. Instead it focuses on practical spoken Greek so you can communicate with ease. Learn the 50 most essential words and phrases - just what you need to be understood and enjoy your trip. Heading off on holiday or a business trip? Looking for a language safety net to get yourself out of sticky situations? Fed up not knowing how to order a drink or a meal? 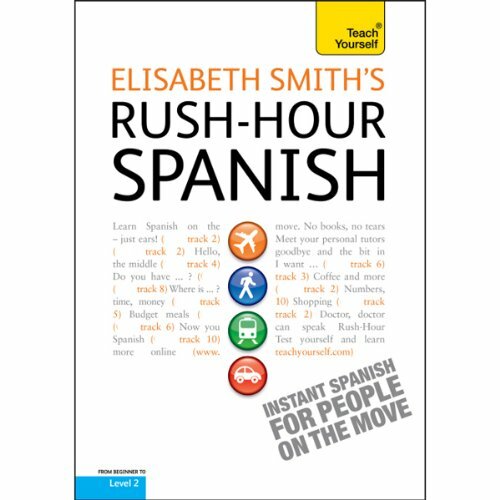 Join Elisabeth Smith and her student Andy for an in-flight Spanish lesson as they head off abroad. This course is fast, fun and easy. There’s no grammar or writing practice. 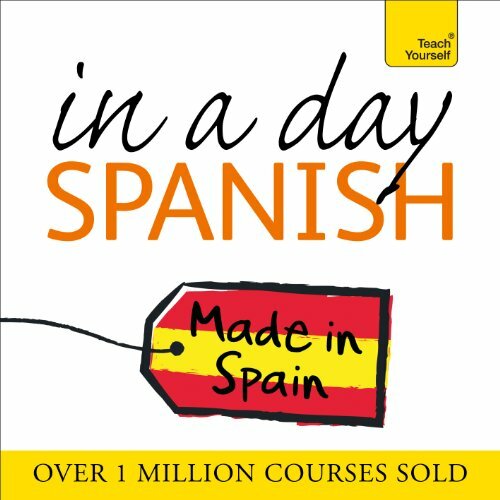 Instead it focuses on practical spoken Spanish so you can communicate with ease. Learn the 50 most essential words and phrases; just what you need to be understood and enjoy your trip. Heading off on holiday or a business trip? Looking for a language safety net to get yourself out of sticky situations? Fed up not knowing how to order a drink or a meal? Join Elisabeth Smith and her student Andy for an in-flight Mandarin Chinese lesson as they head off abroad. This course is fast, fun and easy. There’s no grammar or writing practice. 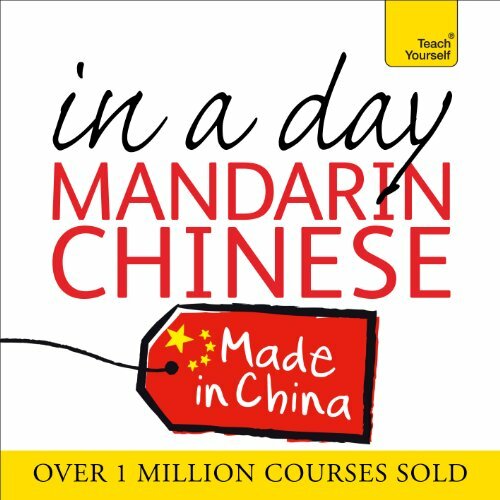 Instead it focuses on practical spoken Mandarin Chinese so you can communicate with ease. Learn the 50 most essential words and phrases - just what you need to be understood and enjoy your trip. Heading off on holiday or a business trip? Looking for a language safety net to get yourself out of sticky situations? Fed up not knowing how to order a drink or a meal? Join Elisabeth Smith and her student Andy for an in-flight Polish lesson as they head off abroad. This course is fast, fun and easy. There’s no grammar or writing practice. 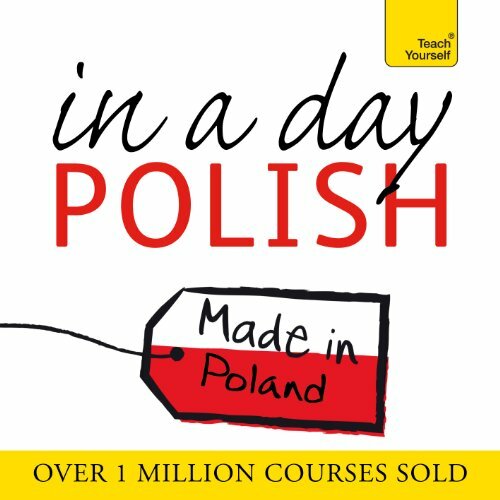 Instead it focuses on practical spoken Polish so you can communicate with ease. Learn the 50 most essential words and phrases - just what you need to be understood and enjoy your trip. Heading off on holiday or a business trip? Looking for a language safety net to get yourself out of sticky situations? Fed up not knowing how to order a drink or a meal? Join Elisabeth Smith and her student Andy for an in-flight German lesson as they head off abroad. This course is fast, fun and easy. There's no grammar or writing practice. 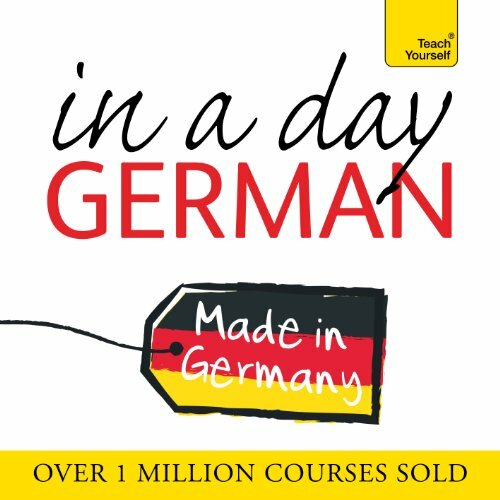 Instead it focuses on practical spoken German so you can communicate with ease. Learn the 50 most essential words and phrases - just what you need to be understood and enjoy your trip. Heading off on holiday or a business trip? Looking for a language safety net to get yourself out of sticky situations? Fed up not knowing how to order a drink or a meal? 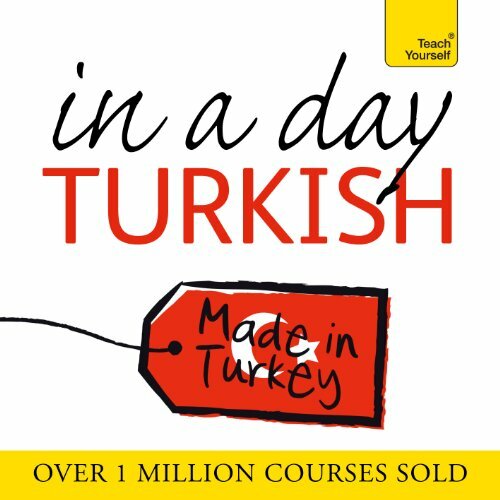 Join Elisabeth Smith and her student Andy for an in-flight Turkish lesson as they head off abroad. This course is fast, fun and easy. There’s no grammar or writing practice. Instead it focuses on practical spoken Turkish so you can communicate with ease. Learn the 50 most essential words and phrases just what you need to be understood and enjoy your trip. Heading off on holiday or a business trip? Looking for a language safety net to get yourself out of sticky situations? Fed up not knowing how to order a drink or a meal? 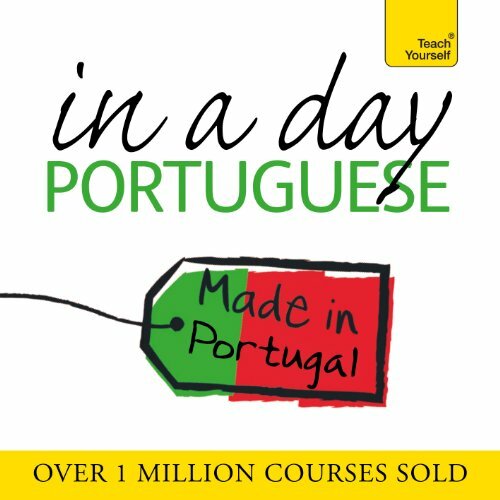 Join Elisabeth Smith and her student Andy for an in-flight Portuguese lesson as they head off abroad. This course is fast, fun and easy. There’s no grammar or writing practice. Instead it focuses on practical spoken Portuguese so you can communicate with ease. Learn the 50 most essential words and phrases; just what you need to be understood and enjoy your trip.